That would squash a Thanksgiving tradition. There’s a good chance the pumpkin in your Thanksgiving pie came from Morton, Illinois. This pumpkin paradise produces most of the nation’s holiday squash. But dark skies may loom ahead. Pumpkins are fair weather fruit; squash rots in squishy fields. And in 2015, record rainfall put a big dent in canned pumpkin production. It was not the first time America’s top squash crop got soaked. And Illinois State Climatologist Jim Angel says it will not be the last. Adapting to the changing climate is not as simple as finding more hospitable fields for the pumpkins – it could require moving the entire industry. Case in point: More than 100,000 tons of pumpkins are processed in Morton each year. There are still more good years than bad. 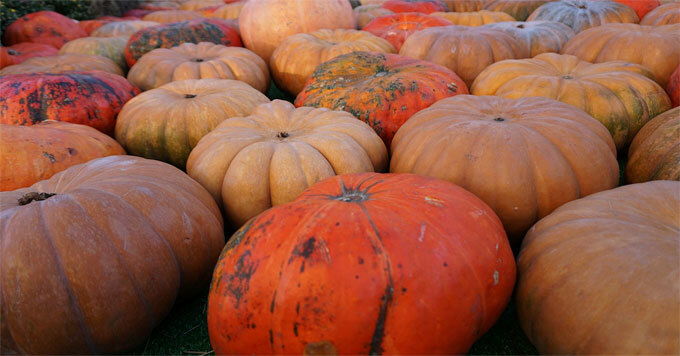 But pumpkin shortages could become more common as the climate continues to change. Reporting credit: Franklin Crawford/ChavoBart Digital Media.